Police have arrested the employer of a Filipina maid found dead in a freezer in Kuwait after a weeks-long manhunt. Joanna Demafelis, 29, was found frozen in her employers' apartment more than a year after she was reported missing. Nader Essam Assaf was arrested in Lebanon on suspicion of murder, the Philippines department of foreign affairs said on Friday. Ms Demafelis's death prompted outrage in the Philippines and a ban on Filipinos travelling to work in Kuwait. Mr Assaf, a Lebanese national, was arrested in his home country, the Philippines department of foreign affairs said in a statement. His Syrian wife Mona, who is also a suspect, remains on the run, and is believed to be in Syria, it added. Both suspects were the subject of an international manhunt aided by Interpol. Philippines foreign secretary Alan Peter Cayetano welcomed the news, calling it a "critical first step in our quest for justice for Joanna". How was Ms Demafelis's death discovered? Her body was found this month with apparent signs of torture, Philippine officials said, in an apartment that had apparently been abandoned for at least a year. 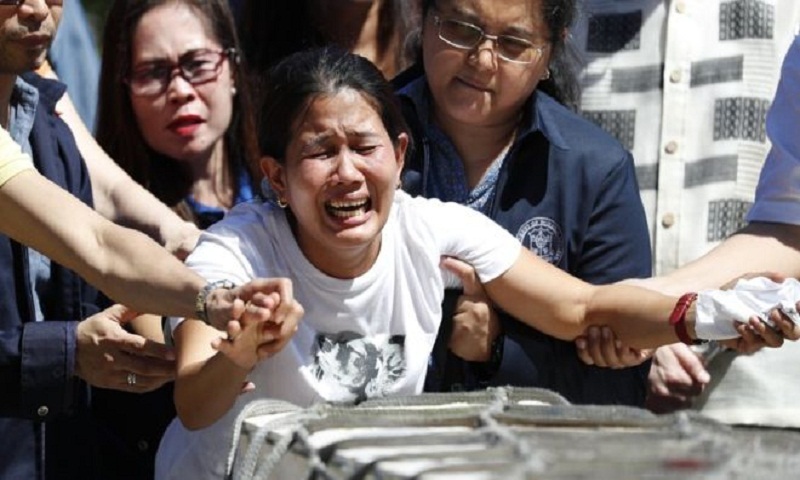 In the aftermath of the discovery, Philippine authorities say they facilitated the return of more than 1,000 "distressed overseas Filipino workers" in Kuwait, most of whom had worked as household servants. The country's department of foreign affairs estimate that some 252,000 of its citizens are living and working there. Kuwaiti authorities, meanwhile, have vowed to do everything possible to see justice is done. Mr Cayetano said he expected Kuwaiti authorities to request the extradition of Mr Assaf from Lebanon, to stand trial in Kuwait.